Do you like stories about galaxies far, far away? Are you looking to bring some of that space swashbuckler excitement to your party or event? Then I am happy to say you are in the right place. 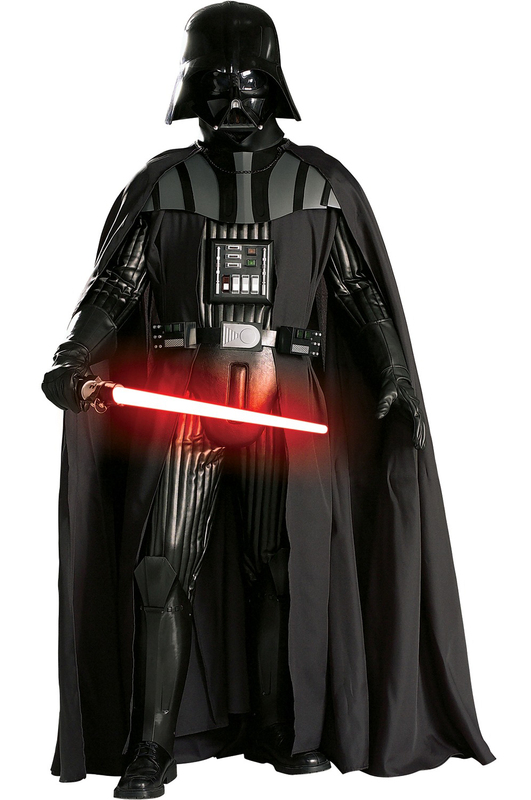 Darth Vader is one of my favorite characters growing up and I am happy to bring you an opportunity to bring this larger than life character to you! I will provide exceptional entertainment at reasonable prices and focus my efforts on your experience that will create wonderful memories. I started entertaining as characters back when I was in High School and my first movie character was C-3PO. At 6’6″ I soon realized that I was a tad big for the robot (I even created a rolling R2D2), so I bought my first Star Wars movie prop – a Don Post Standard Darth Vader helmet. I was soon crafting a home-built consume (before all this wonderful technology) of Radio Shack parts put together to make my first Cosplay character – Darth Vader from A New Hope. I was fortunate to connect with a character promotion company and I was off to parties, parades, business events across Delaware (my hometown) as Darth Vader. My love of cosplay continues as I am also part of the Central Avengers and cosplay as another Disney character – Iron man Mark VII. My son is also excited in all the wonderful characters and story universes and continues to inspire me to promote good will and happiness when you see a fan favorite character in person. I decided to revive my passion to promote the greatest movie franchise by offering my experience and services to you. Sith Lord Entertainment is a Star Wars parody character event/party/promotion/entertainment company that is focused on providing you the best in quality performances and value. Take a moment to visit our Pricing, FAQ and Booking pages for more information. Also check out my posts as I plan to blog about my experiences, Galaxy News and exciting info on upcoming Star Wars movies and events.